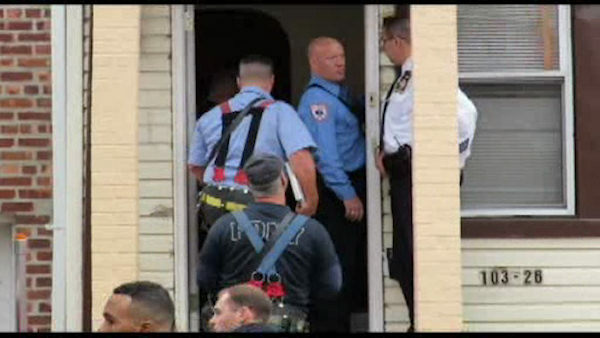 NEW YORK -- A 32-year-old woman who attempted suicide in her Queens home, then was declared dead before being discovered alive an hour later, has died. The woman was brought to Jamaica Hospital in critical condition, but died overnight Thursday. On Thursday morning, authorities were called to a house on 115th Street by the woman's sister, who said she wanted to harm herself. They arrived at 9:03 a.m., forced entry, and found the woman lying on her left side with a gunshot wound to the head. EMS pronounced the woman deceased at 9:34 a.m.
At 10:42 a.m., an NYPD patrol supervisor heard sounds coming from the victim and requested an EMS supervisor to the scene. At 10:49 a.m., an EMS supervisor and the original EMS unit returned to the scene and determined she was still alive. A small-caliber rifle was recovered at the scene. The incident is under investigation by the NYPD and FDNY.